Or: "Yes, you can borrow the car as soon as you finish your homework." The message is the same, but the tone is completely different, and saying “yes” gives kids a lot less to argue with. Reframing is engaging kids’ imagination and sense of play in order to create the behavior you would like to see. A fascinating study of four-year-olds shows the power of this strategy. In the study, the researchers first asked the kids to stand still for as long as they could. The kids didn’t last very long: usually less than a minute. Then the researchers asked the kids to pretend that they were guards at a factory. Now, the kids were able to stand still almost four times as long. Why? Because they were imaginatively engaged in the activity. You will also see reframing at work in many preschools when everyone sings the “clean-up song” while the kids put away toys and organize the room. In our busy lives as parents, we may not even notice ourselves barking out “do’s” and “don’ts” to our kids: “Get your shoes on now,” “Turn off the computer,” “Stop that,” and so on. Then we get frustrated when they ignore us or resist doing what we’ve asked. Here we have the beginnings of a power struggle. But we may be able to sidestep it if we help kids understand why we are asking (that is, give them a reason). (Note: “Because I said so” is not a reason--and will probably lead to more power struggles or secrecy). For example: “Please go get your shoes on now. We have to leave in one minute or we’ll be late to pick up your friends and that would not be nice manners." This strategy will not guarantee immediate compliance with your requests, but it will show your kids that you are making reasonable requests. It also models the importance of using good reasons to motivate behavior. Empathy, as I’ve previously written, is the most powerful tool we have as parents. When we practice empathy with our kids, we show respect for their feelings and their reality (which are often different from ours). We show that we are listening, and that we understand--or are trying to understand--their point of view. When you don’t know to do in a situation, practice empathy. When you have to insist on something or follow through on consequences, practice empathy. For example: “Sweetie, I know you don’t want to wear your seatbelt. It feels itchy to you. You wish you didn’t have to wear it (empathy)." Please note that practicing empathy does not oblige you to change or fix anything about the situation. This is an important distinction. You can empathize with your son’s frustration at having to wear a seatbelt without the need to take it off. After all of that empathizing to create connection with your kids (see #4 above), don't negate it by saying "But..."
As in: "I know you don't want to wear your seatbelt, but it keeps you safe so you have to do it." Instead, keep the connection you established through empathy by conveying that kids' feelings are important even when they can't be honored. Note: This parenting hack, plus #4 above, can work on people of all ages (including your spouse and/or coworkers). Want more parenting hacks? 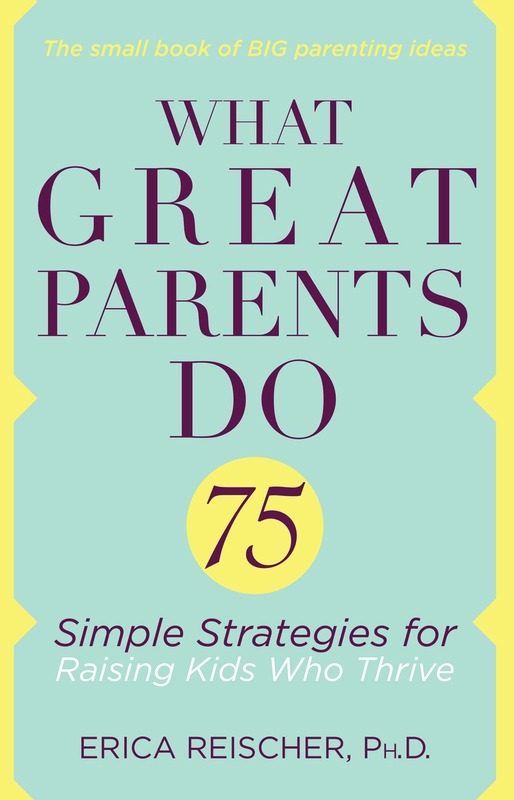 Read "10 Things Great Parents Do" or get a printable copy.